I received these items to facilitate this blog post. All opinions are 100% my own. I love finding fun things to do with my girls. So, I had the idea of making them a little Valentine's Day Candy Buffet to show my love for them. Even though they drive me nutty, I love them to the moon and back. I turned to my friends at Oriental Trading to make my Valentine's Day candy buffet happen. 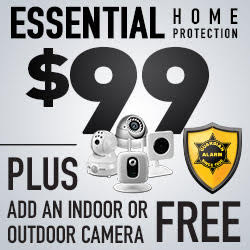 I've been a customer for many years, and I'm aware of the high-quality items I receive when I purchase their products. When I visit the Oriental Trading website, I become inspired! 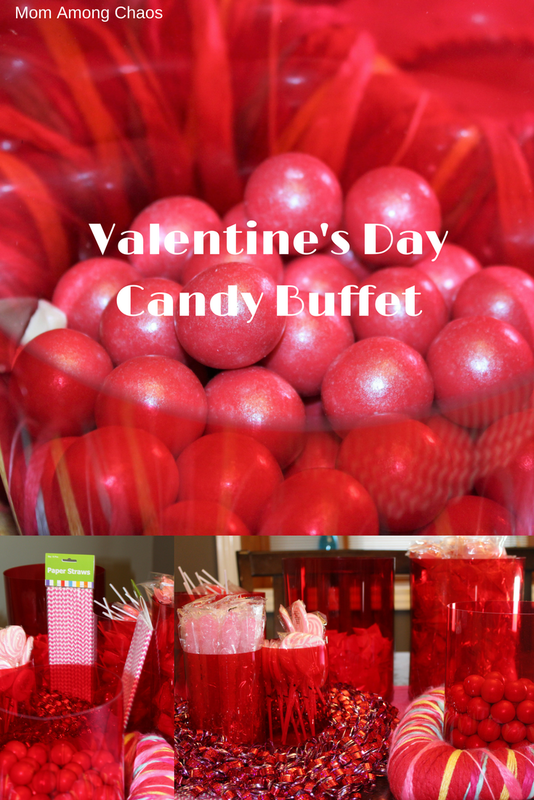 I instantly felt moved to start the candy buffet with the red candy buffet cylinders. I love the color and being able to see thru them. They're made of a thin plastic and perfect for use for a candy buffet! I then began the fun task of picking my girl's favorite candies. This Momma tried to avoid her favorites (since I'm working to eat healthily). The picture above is the large shimmer gumballs. Sorry, Keira, I forgot about your braces! These gumballs are super sweet! Both of my sweethearts love rock candy. They were so excited to find pink rock candy lollipops in their Valentine's Day candy buffet. Actually, they both headed to the rock candy first. My youngest has a love for straws, so I thought the above paper straws were adorable for her chocolate milk! I used some of my Valentine wreaths as a decoration on the Valentine's Day candy buffet. It added a cute little accent to the table. My girls also love suckers! Oriental Trading has a ton of fun candies to choose from. 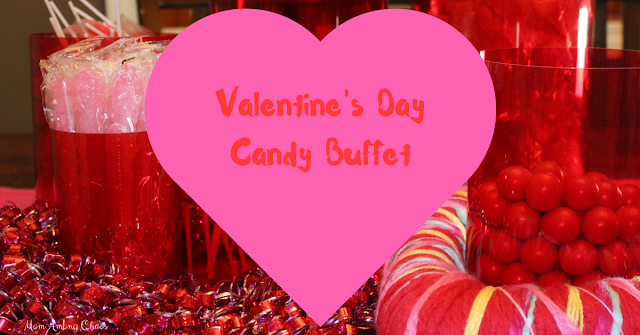 The cool thing is your Valentine's Day candy buffet is all about you so you can pick all of your favorites! So head on over to Oriental Trading to become inspired this Valentine's. Let me know what inspires you!